Are you tired of new “music”? Are you musically stuck in the late 80’s and early 90’s or before? Are you tired of the nonsense cookie cutter bands that rule the radio nowadays? If you answered yes to any of these questions then you need to check out The Darkness. They are a British hard rock band that formed in 2000. Their sound ranges from classic rock to hard rock. Songs with heavy power riffs to ballads, they cover all of the bases with a classic rock tone. Justin Hawkins, their lead singer and guitarist has an incredible vocal range. He can hit incredibly high notes while staying in key with the song. At times he reminds me of Freddy Mercury. His vocal melodies and harmonies fit the songs perfectly. He can also shred on the guitar with amazing riffs and solos that will blow your mind. Justins brother Dan Hawkins is the other guitarist, and they trade lead duties throughout. Their live shows are some of the best shows I have ever seen. Justin Hawkins has a stage presence that is unparalleled. He is a front man in the likes of which we have not seen since Axl Rose back in the 80’s or David Lee Roth. Often wearing spandex one pieces, running around, and climbing things to jump off of at just the right moment. Other awesome stage moves include doing a handstand and clapping his legs together while upside down to get the crowd to clap along with the beat of the song. I even saw him throw a guitar pick behind him, kick it back up, catch it, and continue playing. I must warn you this band is not for everyone, if you do not like high pitched vocals they can be a bit overpowering at times. Their biggest single to date is "I Believe In A Thing Called Love". I would suggest listening to that song first to get an idea of what you are in for. They have 3 albums out: "Permission To Land", "One Way Ticket To Hell… And Back", and "Hot Cakes". All of these are great albums however if you are wanting to start out I would suggest their debut album "Permission To Land". 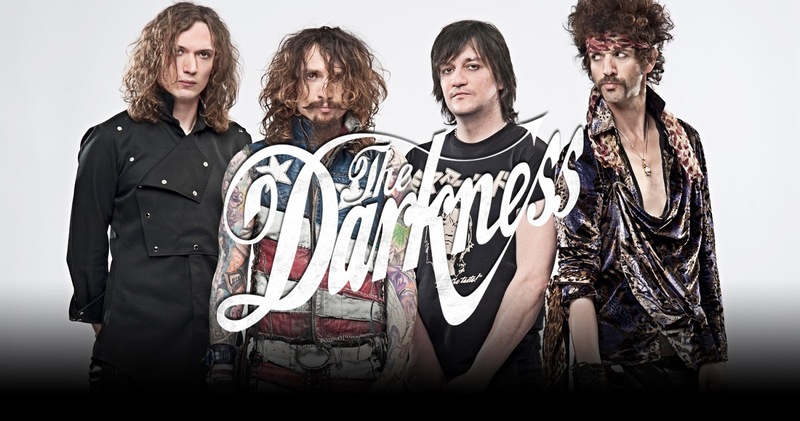 If you like bands like Motley Crue and Van Halen then rest assured that you will enjoy the Darkness.